Do you see a major difference between the values that you see your supervisors and employees demonstrate and the values that you hold? (We call that a Values Gap.) Do you think it hurts the customer experience? Is it effecting sales and customer satisfaction? 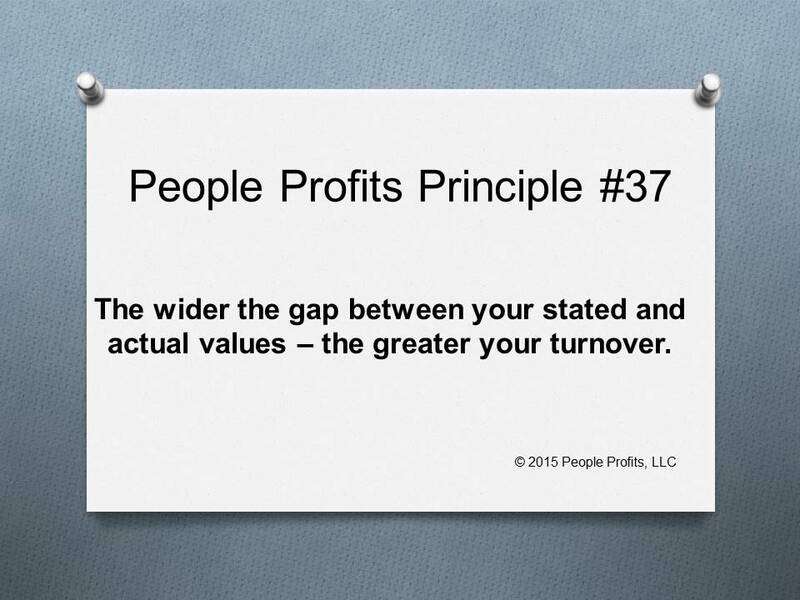 How are you measuring your Values Gap now? How bad is it? There will always been a difference between the stated organizational values and the values actually displayed on a day to day basis by the organization as a whole. There will be another gap based on individual managers and employees. As these gaps get wider, the result will be exponentially more turnover. Let us show you how to make it better.